The Nonfiction Detectives: What Do You Do With a Voice Like That? It is fitting that What Do you Do With a Voice Like That? was published this year. News organizations are calling 2018 The Year of the Woman after a record number of female candidates won seats in the House of Representatives in the recent mid-term elections. 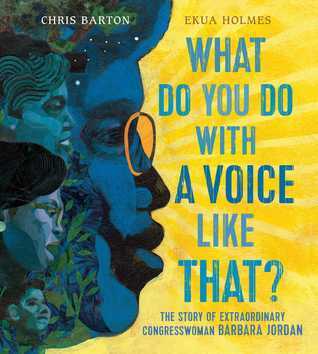 Chris Barton and Ekua Holmes team up to introduce Congresswoman, Barbara Jordan, to a new generation of readers and future voters. Barton effectively weaves in the phrase: What do you do with a voice like that? throughout the narrative to show how Jordan used her powerful voice to challenge, question, persuade and to represent people "who had less power." The author traces Jordan's life as she grew up in Texas then went on to study law in college before running for state legislature. Holmes' gorgeous mixed media illustrations use texture, patterns, and bold colors to convey Jordan's power and influence. One illustration depicts a family sitting on a coach watching Jordan give a speech on a black and white television. The speech is to the House judiciary committee. Jordan's speech about how President Nixon violated the Constitution was influential as the committee decided to impeach the President. 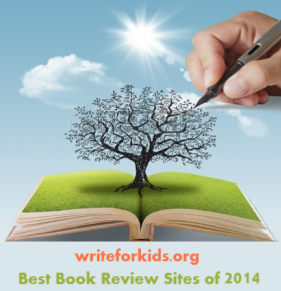 Back matter includes an author's note, time line, and a list of suggested books and videos. It is on my "To Be Read" list. Thank you for this, Cathy -- I love how you tie the book into our present moment.